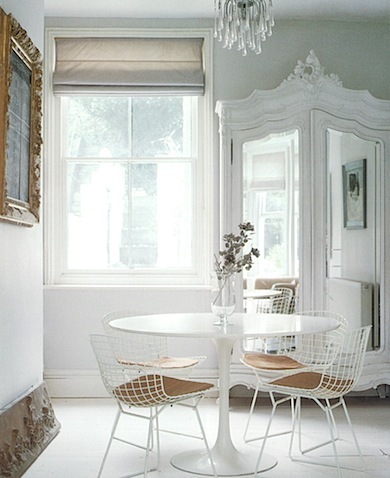 Also, I realized that Anne Sage had already posted her own ode to the Bertoia side as part of her series Chairs of the World on her blog The City Sage, which is a new fave of mine. So cool, and interesting that we chose mostly the same pics (including this one). Alas, very much enjoyed her recent ponderings on the Panton chair as well. Check her post out here.